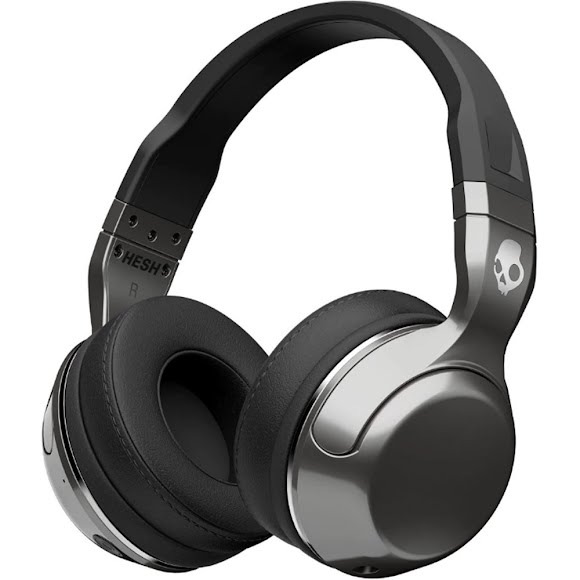 Skullcandy's Hesh 2 Wireless is the Bluetooth version of our iconic headphone with a new sleek profile and plush, synthetic leather ear pads. With on-board controls and a rechargeable battery, Hesh 2 Wireless lets you move freely with your playlist. Skullcandy&apos;s Hesh 2 Wireless is the Bluetooth version of our iconic headphone with a new sleek profile and plush, synthetic leather ear pads. With on-board controls and a rechargeable battery, Hesh 2 Wireless lets you move freely with your playlist. Hesh 2 features Supreme Sound™ technology producing attacking, powerful bass; warm, natural vocals; and precision highs.